Confidence! Warmth. Grace. Effort. Style. Physical intelligence. Symmetry. Ugly! Wearing makeup! If I spend time on my features they feel and look stronger. I’m more confident and expressive. I’ve got my face on. As I’m freelance, every day is different. I’ve just got back from ten days working in LA! If I’ve got a day off, I’ll work it around a Body Balance class. And I’ll spend time in my studio (@Dowsettland) to prepare my kit, research an idea, create mood boards/face charts and receive visitors (my ex-assistants often drop in). My skincare changes a lot because I try out so many products! I’m lucky that I’m sent many, as I’m on a couple of awards panels. 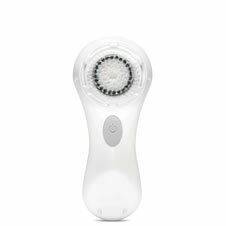 Sometimes I’m spoilt for choice but I do know they work if coupled with a routine like using a Clarisonic which cleanses thoroughly and enables products to penetrate. I love M.A.C the most because their Pro products have ultimate payoff and are compatible. I use pigments and mixing mediums to create my own colours and textures. Their new Twisted Lash mascara is brilliant – lashes are very important to me as they’re a real eye opener when accentuated. I do Body Balance which is a mix of tai chi, yoga, pilates and mediation set to music. Followed by a steam and sauna if there’s time! I make nutri-bullets with spinach, lettuce, cucumber, mint, lemon, pear and pineapple. My husband makes a nourishing soup with salmon, ginger, carrots and celery which revitalises. Any makeup application tips that you feel every woman must know? Do your bottom lashes first as you look down to do your top lashes which creates imprints if top lashes are wet. If that happens, wait for mascara to dry then you can flick it off. I can’t leave the house without running Bumble and Bumble Brilliantine through my hair. Also Moroccan Hair Oil for repairing damage and the fragrance. What are you favourite beauty addresses in London? The House of Elemis is high tech and homely. They find out about, and invest in, your skin. The hairdressers in Amwell Street (opposite my house) have handled my roots for some time now and occasionally give me a quiff. How you you handle criticism? Badly, although sadly I like dishing it out! By feeling it and doing it anyway. What is the biggest beauty myth? That you can’t apply makeup or that it doesn’t suit you! It’s a free and varied process. It’s worth learning some skills and practising is the only way to develop them. What is your advice to women when it comes to beauty? Work with what you’ve got! !